This tuesday day the Festival offered the Tiger premiere of Camila José Donoso's Nona. 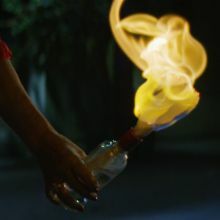 If They Soak Me, I’ll Burn Them (A hybrid fiction featuring the director’s intriguing grandmother as an anarchist warrior in a Chilean town ravaged by forest fires) and other festival treats. After a torrid act of vengeance on the home of her ex-lover, 66-year-old Nona flees to her summer house in Pichilemu, a Chilean coastal town. There she potters about in apparent satisfaction, until a series of forest fires drives many of her neighbours from their homes. The formerly quiet shady streets are imbued with fear. The police investigation turns up nothing and the residents grow increasingly speculative about the possible cause. Remarkably enough, Nona’s small home is undamaged. Whilst more and more houses go up in flames, this intriguing protagonist displays the different sides of her character: Nona the grandmother, Nona the friend, Nona the anarchist, Nona the storyteller, joker, liar – and Nona the firebrand. This hybrid story, Camila José Donoso's third film, is a mix of fact and fiction. Although the maker was inspired by events and people in her own life, including her eccentric grandma, Josefina Ramirez, the film largely consists of fictional elements. Donoso not only portrays an ambivalent, colourful character, whom she clearly loves deeply as a granddaughter, but also an older generation and a complex country still scarred by Pinochet’s dictatorship. The story is told in various film formats, including low-resolution video images, colourful home videos and crystal clear digital images, as a reflection of Nona's multifaceted character. 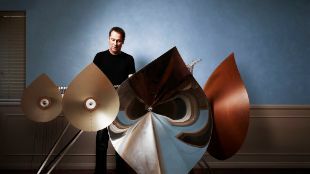 16:30-17:30, Hilton Le Jardin: Film composer Cliff Martinez (Drive) talks in an intimate, wide-ranging conversation about how he found his characteristic sound and what inspires him. 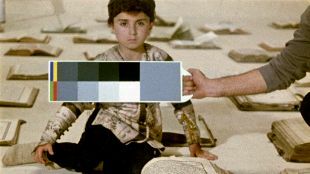 11:00-20:00, Arminius: Today's your last chance to see the exhibition showing the mesmerising unused footage of Sergei Parajanov's The Colour of Pomegranates. 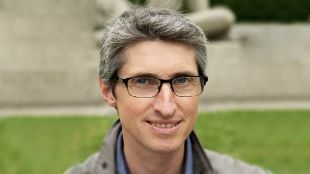 14:00-15:00, Hilton Rotterdam: An acolyte of Godard in various guises since 2004, Swiss filmmaker Fabrice Aragno steps into the spotlight with his personal creations. 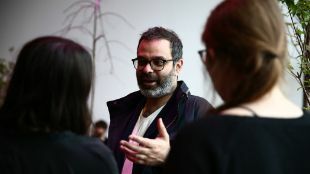 15:30-16:30, Hilton Rotterdam: The radical post-disciplinary artist Asad Raza explains why he (re)turns to the medium of film with his new work Minor History. 9:30, Cinerama 2: A screening of La Flor (Parte 1) by Mariano Llinás, preceded by a video essay by Hugo Emmerzael, Jan Pieter Ekker and Dana Linssen, and followed by a Q&A with Mariano Llinás. 19:15, Schouwburg Grote Zaal: A screening of Make Me Up by Rachel Maclean, preceded by a performance by Yoana Pavlova, and followed by a Q&A with Rachel Maclean.